Raw denim is a style staple, and when you invest in a good pair like from these 3 brands, you'll have a pair of jeans that can last hundreds of wears. If you’re into men’s style you know that ruggedness is having a moment right now. 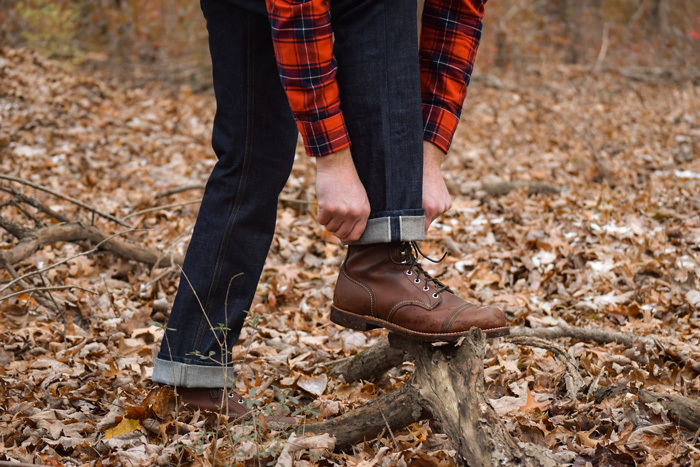 Raw denim, heritage boots, and flannels are everywhere. Even more so in the fall and winter when we put away the warm weather clothes and break out those sweaters and jeans. What is raw denim? It’s 100% cotton that has not been washed or processed after the jeans have been sewn and dyed. Premium denim brands use fabric that was made on antique shuttle looms the slow way. This process makes them beautiful pure untouched indigo dyed gems for you to put your own personal stamp on. Commercial jean makers wash and process jeans with chemicals, stones, and lots of water to get a pre-faded look and softer feel to wash away the indigo dye. 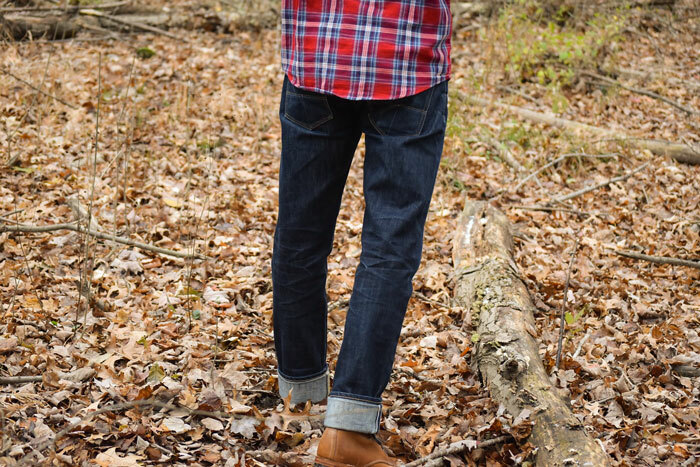 New to raw denim and want to give it a try? 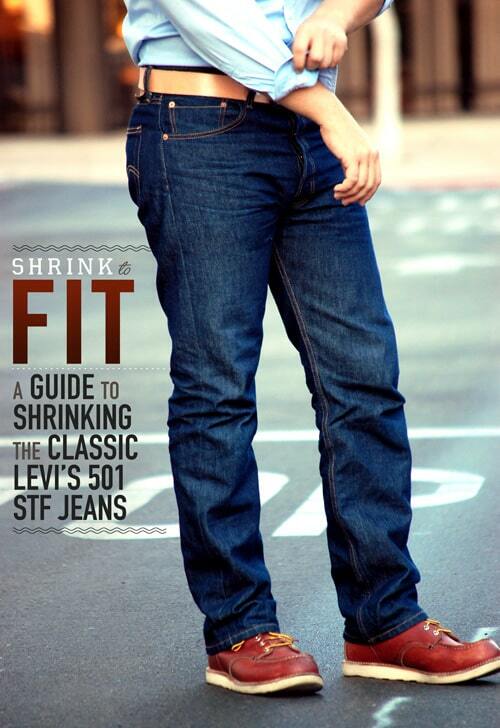 The go-to starter is the classic Levi's 501 Shrink-to-Fit. Click here to read our guide. Instead of being stressed by sandpaper, grinding tools, hot water and commercial dryers, raw denim is pure and usually much sturdier in weight (also making it much more environmentally friendly). Some commercial jean makers use inferior denim that weighs less than 10 ounces per square yard, making them very thin and thus not lasting very long. 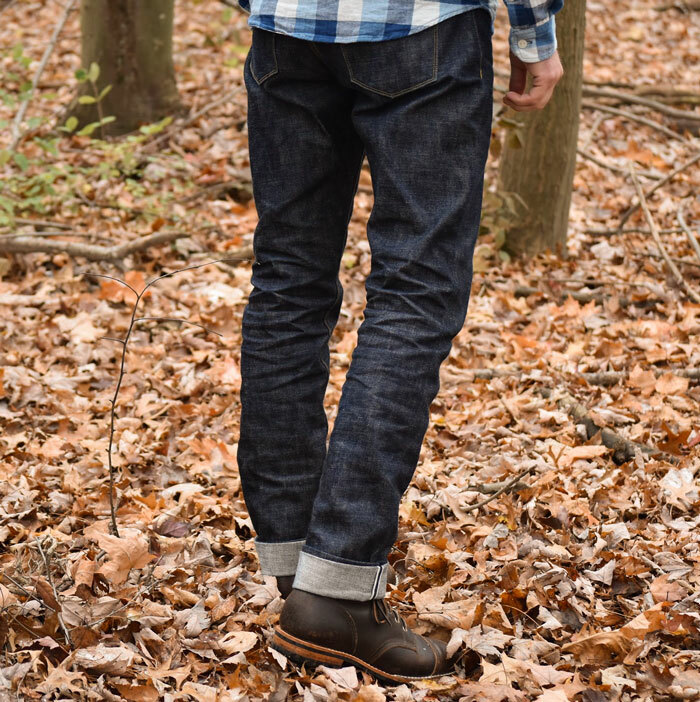 You might get 100 wears out of commercial jeans but raw selvedge denim might last for 500 or more wears. If you rotate a few pair of them you will get even more. Why invest in high quality denim? Sure, the initial expense is higher than some jeans you can pick up in a store, but the price per wear is much lower in the long run. The superior fabric and the construction makes them rugged and tough. Is it going to cost you a bit more to buy garments that are handmade and sewn in the United States with American sourced materials? Yep. Is it worth every penny? Absolutely. Here are three of my favorite brands and a pair of their jeans, each one at different stages in their wear. I’ll be laying them out in order from hardly worn to worn hard. Freenote Cloth was started by brothers Matt and Andrew Broderick and based in San Juan Capistrano, California, a town that embodies the rancho era of territorial California. It’s the kind of town that embraces America’s rich heritage and its classic menswear. Freenote sources and manufactures its collection exclusively in the United States. Freenote is most proud of their customer service and relationships. “If someone has a problem with one of our garments you know we will fix it. You can get a hold of us, we can have a chat, and we can get your problem dialed in. These clothes contain my heart and soul.” Matt and Andrew are down to earth guys that love their craft and pour everything they have into their work. 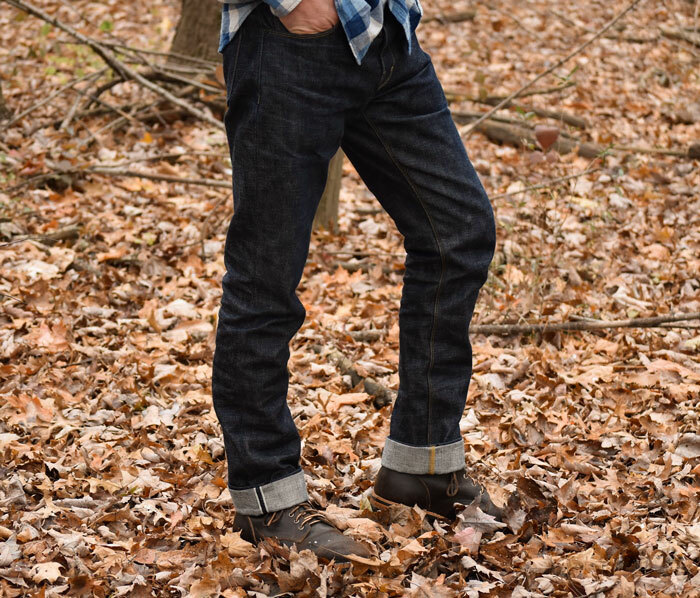 Pictured are a new pair of Freenote Rios Slim Straight raw 14.75 oz selvedge denim. These are the newest of the three pair of denim we’re featuring. I’ve only had them a month or so and they still look pretty new. In time they will start to show some awesome wear, but for now I have to be patient for them to develop some character. They’ve got a contoured waistband and a super sweet leather patch from Red Wing Heritage. The 1/8” double needle stitching is second to none but the Japanese herringbone pocket bags are my favorite feature (found in almost all of their pants). All of the hardware is from Kentucky and I love the copper button-fly and custom rivets and button tacks. They have a regular rise, slim thigh, slim knee, and moderate leg opening. You can feel the attention to detail in every stitch and hem. Shockoe Atelier is one of my favorite small brands based in Richmond, Virginia’s historic Shockoe Bottom neighborhood. Shockoe Bottom was once a bustling center for tobacco and cotton traders and their showroom is more like an art studio where anyone can watch their product come to life among the hum of sewing machines used by their denim artisans. That’s the thing with small brands, you can go hang out with them and observe their craftsmanship firsthand. It’s all about the details with Shockoe Atelier. They are meticulous with their craftsmanship. Their tobacco leaf logo is emblazoned on both sides of the copper buttons, which are finished in black and backed with leather. The single-needle contrast stitching outlines everything perfectly. They feature denim from the United States, Japan, and Italy. I’m wearing the 14.50 Slim Kojima and I’ve been rocking them for about 3 months. They’re starting to get some real character, developing some “whiskers” at the upper thigh and “honeycombs” behind the knee. More importantly they’re starting to form to my shape and fit like a glove. They bend the same way each time, and are starting to stretch in all the right places. The Slim Kojima is completely handmade in small batches in their shop in Richmond and the denim is from Collect Mills in Japan. They have a low-mid rise with a slim seat and thighs with a tapered leg. It has a veg-tanned leather patch from a small-batch family producer in North Carolina. They feature an indigo warp and a natural weft. Shockoe offers free repairs for the life of the jean. 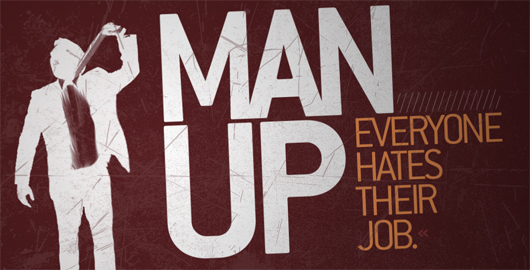 Are you going to find that with a large manufacturer? Nope. Pete and I have talked on the phone several times, but what always comes through are his convictions about his denim and how it’s made. “We source all of our raw denim from Cone Mills White Oak plant in North Carolina and make the jeans here in San Francisco. We only use raw selvage denim, thread from North Carolina, pocketing from Tennessee, the leather patch is from Tanner Goods in Portland Oregon (all of the leather is sourced from the Pacific Northwest and vegetable tanned. ).” The same is true of the buttons and rivets. All American. I have a pair of their Ladbroke Grove 16.5 oz and they are hefty. I’ve been wearing this pair just over a year. They are starting to get some fades in the areas that get the most movement and flex, giving this pair it’s own unique wear pattern that tells a tale of its journey during the last year. There is a time and place for thriftiness. But there is also a time to invest in American quality that’s built to last, even if it costs a little extra. The upgrade means investing in garments made with outstanding materials and crafted with extraordinary precision by the kinds of guys you would love to hang out with. Check out these brands to start your raw denim journey and you’ll probably never go back to run of the mill jeans again. I certainly won’t. Read Primer's full intro guide to raw and selvedge denim. Jeremy Lahman is from Columbus Ohio. He has degrees from Otterbein University and The Ohio State University. Enjoys gear, travel, outdoors, tech, men’s style, and music. Connect with him on Twitter and Instagram @LahmansBeard. I really wish I had more money to invest in my raw denim, but at the moment I’m wearing a pair of raw’s from H&M that I’ve been wearing for 6months pretty consistently. I’ve given Uniqlo a shot but I’ll have to upgrade to something from this article after college. Uniqlo selvedge are good quality for the money but don’t fade well and transfer a lot of dye. Still a hard jean to beat at the $40 range if they have a fit that works for you. I’ve noticed the dye transfer from the Uniqlo jeans. I bought a dark indigo pair for smart occasions, and a worn pair for around the house and the second pair even though they’re worn they still lose dye very rappidly. I’ll have to find alternatives to Uniqlo at the piece as the pocket bags are a bit too short for me. 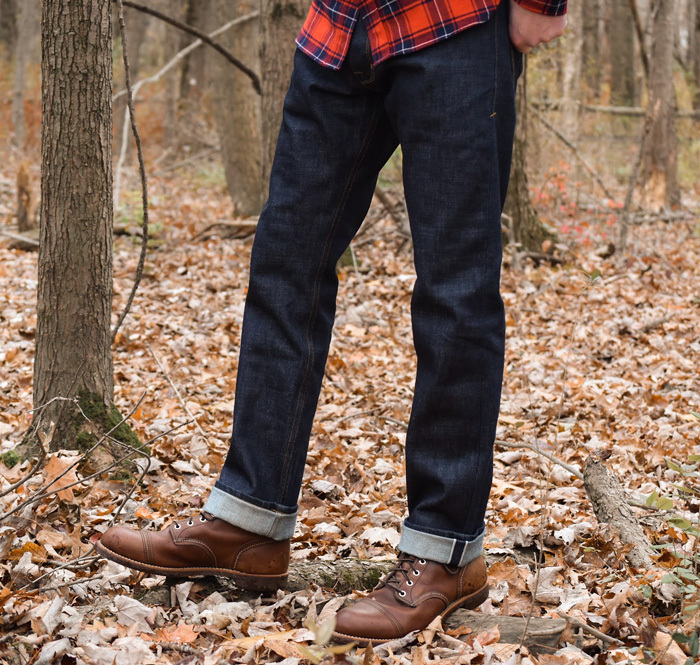 Dude, head over to BraveStar Selvage! $89 starting price point! Best cuts for me are slim straight or slim taper. 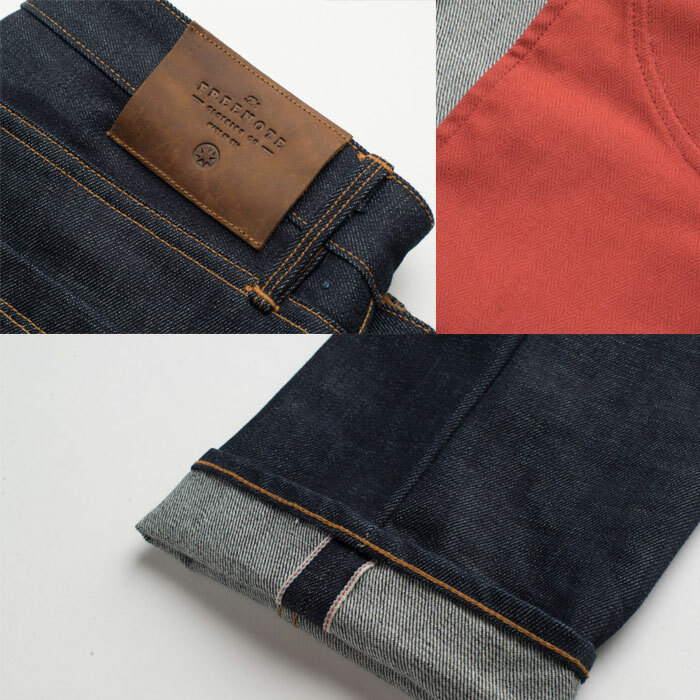 Buy one at that point and your getting Cone Mills denim (the same Tellason uses) – and much better jeans than uniqlo! I’m no raw demin snob, but have been extremely happy with the jeans I bought from DSTLD. $85 (they run discount codes every so often) and they’ve been holding up to after work/weekend wear wear for about 2 years now, while breaking in nicely. I’ll give them a shot, being from the U.K I’m sure the shipping will be expensive but it’s worth a shot. Good write-up, Jeremy. Is there a reason that Primer has never checked out Brave Star Denim out of Los Angeles? 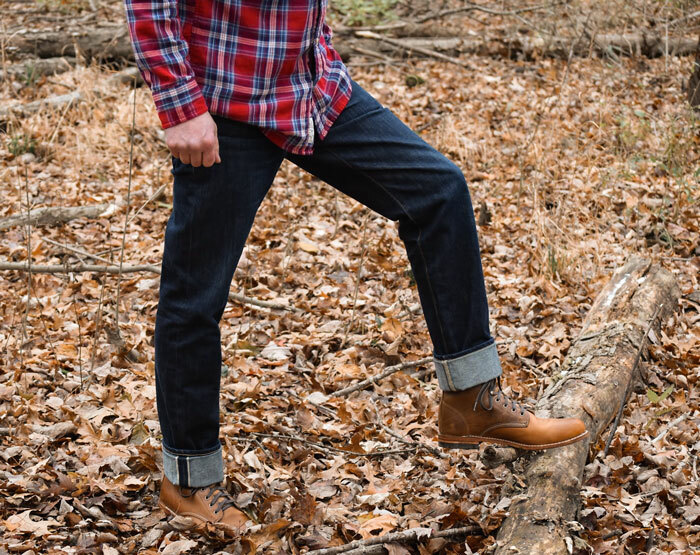 I’ve got a few pairs, and while they’re the only raw/selvedge denim I’ve tried, at $80 – $120 (sometimes less, during sales), I have really enjoyed them. My first pair was the sole pair of jeans I wore for over a year, I’d say 6-7 days a week. The majority of their stuff is made with Cone Mills cotton (same as the original Levi’s that all but created the denim style), with some special releases featuring Japanese raw denim and Cramerton chino selvedge. Their American made jeans are 100% American made, including the leather patch, buttons, and rivets. Brave Star is a great way to try raw selvedge denim for anyone who can’t justify (or perhaps simply can’t afford) the higher pricetags. I cannot recommend Raleigh Denim Workshop enough. They assemble them in their shop right in downtown Raleigh, and are super high quality. If you happen to be through that part of the country, stop in their company store and they will hem and tailor a pair right there while you wait (and watch more pairs being made through the windows of the store into the factory workshop). What fit Gustin do you wear? The only one they had at the time was straight, which is fine-their slim fits border on skinny, from the photos. The Japan and Okayama Standards both fade beautifully. I’m thinking of redying them with black Rit Dye to refresh the color and add some layers to the fades. Hey Adam, Tell me more about this West LA custom denim shop! I’m LA based. Absolutely! http://www.rufcut.com/ is the best. They use the machines that were used to sew denim in the old factories. He puts a great chain stitch on my jeans. He is the only one I take them to when I need them adjusted. He also does great work on repairs. I had a blowout on my favorite pair and he fixed them up good as new! He also has a cool selection of truly vintage 501s. This guy knows denim like no ones business. He also makes custom denim jackets and just a really cool guy. I am saving up for a pair of his custom jeans right now. Go check out his shop and let me know how you liked it! I’ve been wearing raw denim for many years and have a bunch of pairs. I’d have to say that my 2 American-made favorites are: Rogue Territory’s SK and Shockoe’s Slim Kojima. For a Japanese brand, my Oni 622 Green Cast (unsanforized) are super dope.